Have a FREE Spin on Treasures of the Pyramids Slot by IGT Pokies. Have you ever felt the high of gambling? It is a contagious one, a powerful one and there are multiple ways to get it but always gamble responsibly 🙂 From the fast-paced Blackjack to the slow, strategic game of poker or the constant buzz of feelings thrown at you by playing the pokies. You can get the instant high without the downside of losing money by playing free slots online and Treasures of the Pyramids by IGT is a great slot for both amateurs and old time punters. If you like the old school pokies like the Queen of the Nile Legends or the Throne of Egypt by Microgaming then you should love this game below. This game is a classic Egyptian themed one with a modern touch, and when it comes to features it has it all. 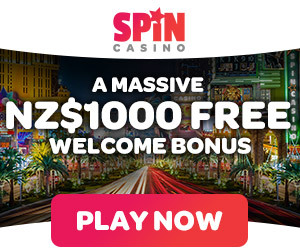 The paytables are similar to slot machines in the same genre: you get the classic high poker cars, like 10, J, Q with the highest payout of a full line of 750 and the K, A with a max win of 1000. The following are symbols and diamonds related to ancient Egypt and they all pay for a complete line anywhere from 1500 to 5000. The best ones are the pyramids, which can pay no matter where they land on the board also giving you free spins if you hit 3 or more, and the black panther, which can replace any other symbol (except for the pyramid) to form lines. Here is where Treasures of the Pyramids shines! This slot game has both credits and money that offers you the possibility of customizing multiple options to fit your gambling style. You can choose from denominations of 1 Euro cent up to 1 Euro per bet, anywhere from 1 to 10 credits per line and the best part: choosing from 1 line, the classic and straight middle one, up to 40 chaotic lines all over the screen. You can do all of this by changing the settings at the bottom interface of the game or you could simply say “Yolo!”, press “Bet Max” and click “Spin” to winning (well hopefully). The best part when playing slots is trying to hit the conditions to get the bonus and it’s the best feeling ever when you get a lot of money out of it. Treasures of the Pyramids has 2 bonuses. The first one triggers when 3 or more pyramids pop up on your screen and you win anywhere from 8 to 100 free spins. Be careful how you size your betting, the higher the bet the better for you when you get free spins. The second bonus triggers any time you win anything, you have the option to gamble and double your winnings by guessing if the next card on the screen will be red and black. This one is great when you use the maximum lines but you only hit a couple so it makes more sense to try to go for a double or nothing than when you win a lot of credits. With an interesting, classic theme and a lot of options to size your betting, Treasures of the Pyramids is one game everyone should try for a thrilling gambling experience with no financial losses or for simply training or trying different styles and patterns to prepare for the serious money-making slot machines.